The last bit of “From Diablo 3 to D&D” is up on Kobold Quarterly, and once more it’s really a general nod to video game boss battles at your tabletop. I’ve become completely disenchanted with Diablo over the past month or two so ending the series is the right choice for me to make, it’s hard to write about something that doesn’t inspire you. Don’t get me wrong, Diablo 3 isn’t a bad game, it’s a great game and it was a great game 10 years ago when we called it Diablo 2. The loot treadmill, nonstop repetitious clickfest just isn’t something for me anymore I don’t think. The power creep carrot on a stick no longer works for me. There are numerous other reasons why Diablo 3 leaves a bad taste in my mouth (RMAH, lack of difficulty until you’ve beaten the game 3 times, no PvP, loot drops mostly worthless, recycled assets from WoW, etc.) but I’m not going to get into all of that. I’m still looking forward to Torchlight 2 though, at least some of the tedium that plagues diablo is remedied in that game. Anyway, please check this final piece out as I think it actually provides some solid advice and guidelines for running big boss battles at your table. I know what you mean. I’ve had the same issues with the game. 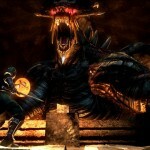 Thanks for the article and the advice on boss battles.